Snap up one of these beautiful new pouch from Katie Loxton’s new collection. 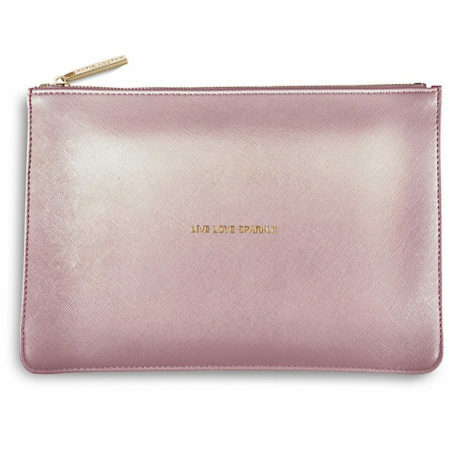 The metallic pink/lilac finish adds a touch of luxury to this popular pouch; etched on the front in gold are the words ‘live love sparkle’ with a gold branded zip fastener and a simple, grey, fabric lining inside. 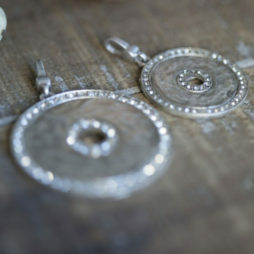 Katie Loxton, Katie Loxton Handbags and Travel Bags, Katie Loxton Perfect Pouches, Valentine's Day Gifts, Accessories - Scarves Bags and Watches, Bags, Gift Ideas, Gifts £0 To £20.